The tragedy made international news, splashing photos of the seven dead Canadian and US skiers on television screens and the pages of newspapers. The official analysis was that guide error was not a contributing factor in the accident. This interpretation has been insufficient for some of the victims’ families, the public and some members of the guiding community. Ken Wylie operates “Mountains for Growth” Life and Leadership Development LLC, based in Blacksburg, Virginia. A certified guide with the International Federation of Mountain Guide Associations, Ken has adventured with the best people and on some of the greatest climbs and ski descents in the world. His Adventure Education career spans 30 years and has included faculty positions at Mount Royal University and Thompson Rivers University and at Outward Bound Canada, where he was instrumental in developing a highly successful therapeutic adventure program for Canadian military veterans. 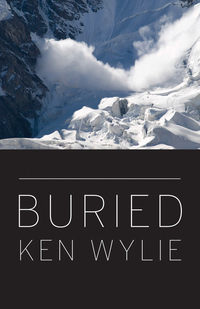 Ken understands the educational purpose of adventure better than nearly anyone alive, by living through the high peaks and deep valleys of it and personally embracing its timeless lessons. Tempered by fire, he commands the art of facilitating educational growth and development through adventure. Ken and his wife, Karen, live on five acres just outside Blacksburg, Virginia.